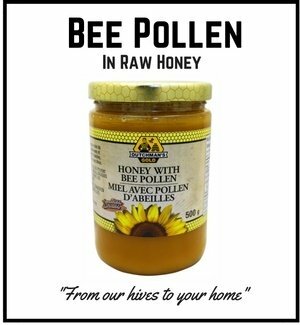 Although bee pollen has been recognized for its medicinal benefits by a few western practitioners for several decades, its qualities have been appreciated by those in cultures further afield for many centuries. 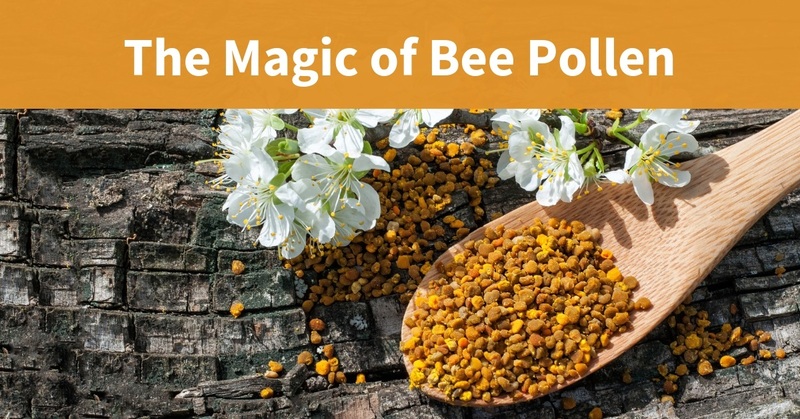 Thankfully, bee pollen is now being made more widely available as a commercial product and has more than earned its place among the popular list of well known apitherapeutic products such as honey and propolis. But what exactly is ‘bee pollen’? The words alone often elicit a double-take response. After all, we already know that bees collect pollen and if that’s the stuff we are talking about then why don’t we just use the plant pollen that bees collect? But, as with all things bees, the truth of the matter is slightly more wonderful. This is because the pollen which is extracted from plants only becomes beneficial medicinally and cosmetically, after it comes into contact with the insect. When the bee collects plant pollen it is mixed with saliva, which, just like human saliva, contains enzymes that are the catalysts to kick-starting chemical processes. On the surface then it would seem that bee pollen is only plant pollen mixed with enzyme rich saliva, however a study back in 2008 established that the honey bee Apis mellifera carries lactic acid bacteria in its stomach (1). When you add lactic acid to the already enzyme rich pollen what happens is that a fermentation process begins which means, at the very least, that the sugars are turned into acids. The result then of plant pollen coming into contact with the humble bee is an enzymatic, nutrient rich product, which, when we look at just some of the compounds it contains, results in it being beneficial both medicinally and cosmetically. It should then come as little surprise that this naturally fermented product has proven effective for many centuries when used in a broad range of medical conditions. Yet when it comes to scientific evaluation, bee pollen has, like many other treatments which are considered by today’s standards to be ‘alternative,’ received precious little attention. But what we also find is that where bee pollen has been tested the results often prove to astounding. A good example of this occurred when one study was undertaken to assess if bee pollen improved athletic performance in swimmers. Initially, although it appeared that no direct benefits were produced, the researchers also looked at the overall health of the swimmers while they were taking the bee pollen. What they found was an extraordinary reduction in the number of respiratory infections in the group taking bee pollen compared to those who were given a placebo. In fact, the group taking the bee pollen lost only 4 training days over the duration of the study (6 weeks) compared to 27 days lost by the group which were given the placebo (5). The researchers concluded that this staggering reduction in respiratory infections is one way in which bee pollen helps to indirectly improve athletic performance - because the athletes simply have more time to train. However they were also careful to note that they felt direct athletic performance may well have been improved if the swimmers had taken bee pollen for a longer period of time - irrespective of how many sick days they had. Multiple sclerosis is another disease where patients reported significant improvements after taking not only bee pollen but also other apitherapeutics including honey and bee venom. After being provided with treatment for 6 months, and in the absence of any other therapies, 100% of patients reported an improvement in their symptoms. In this particular study, the benefits proved so drastic that 72.8% of the patients actually returned to work (6). These are just two examples of how bee pollen has been proven to result in benefits when taken internally and certainly shines some scientific light on why this naturally fermented product has been so popular for thousands of years. 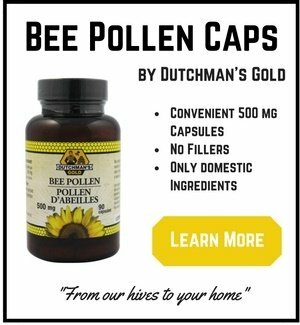 Yet there can be no doubt that findings from studies are often quite variable due to bee pollen being a natural product which can never be standardized. Honey bees are entirely dependent on the plant life available to them and, as a result, this can cause not only inconsistent medical findings but also differences in the compounds and ratios within pollen samples. But although a paper published in 2014 exemplifies these differences it still concluded that bee pollens in general have antimicrobial, antimutagenic, antioxidant and anti-inflammatory properties. The same study also reached the conclusion that when it comes to anti-inflammatory properties, bee pollen is at least equal in effectiveness to that of many proprietary drugs on the market today (7). 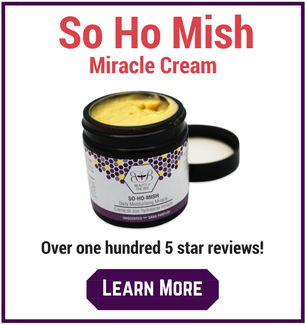 When it comes to topical application bee pollen has traditionally been used for centuries to treat burn injuries and now science is confirming that it has not one, but at least three benefits when it comes to treating such wounds. A study performed in 2016 assessed the properties of bee pollen ointment on burns and found that not only did it reduce healing time, but that it also provided antimicrobial protection against infection. A further benefit was also noted when side effects were taken into consideration compared to the commercial preparation, silver sulfadiazine. Although this preparation is considered to be the topical gold standard treatment when it comes burns, it also produces many side effects and the situation was no different in this study. Bee pollen ointment though, in addition to being effective, produced no side effects whatsoever (8). So now you have a better understanding of what bee pollen is and how it differs from the ordinary plant pollen the little insect collects. 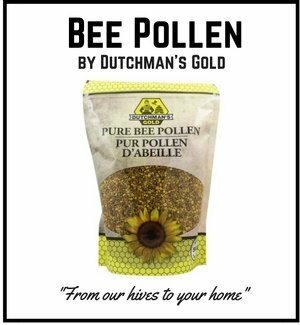 Perhaps though, and more importantly, you can also see that the health benefits of bee pollen, although appreciated by our ancestors through the centuries, are now being substantiated by modern science. 2. Lei H, Shi Q, Ge F, Pan J. [Supercritical CO2 extraction of fatty oils from bee pollen and its GC-MS analysis]. Zhong Yao Cai. 2004;27(3):177–180. 3. Serra BJ, Soliva TM, Centelles LE. Evaluation of polyphenolic and ﬂavonoid com- pounds in honeybee-collected pollen produced in Spain. J Agric Food Chem. 2001;49(4):1848–1853. 4. Kamen B. Bee pollen: from principles to practice. Health Foods Business. 1991;66–67. 14–19, 1997. J Neurol Sci. 1997;(150 Suppl. ):S264–S367.